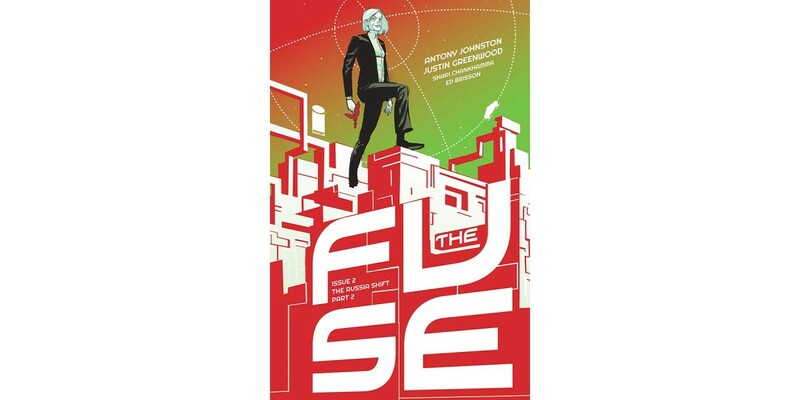 Image Comics is pleased to announce that the second issue of THE FUSE by Antony Johnston and Justin Greenwood will feature a variant cover by Riley Rossmo (Bedlam,Drumhellar) that will make the new science-fiction crime series a must-have for readers’ pull lists. "The Fuse hits fast and hard, with unapologetic wit and a no-nonsense attitude... It's clear that Johnston is playing his cards close to the chest, leaving many questions unanswered, keeping you hanging on to the final pages begging for more. 4/5"
THE FUSE #2 will be available on 3/19 for $3.50 and can be pre-ordered with Diamond Code JAN140590. The variant cover for the second issue featuring art by Riley Rossmo can be pre-ordered with Diamond Code JAN148144.